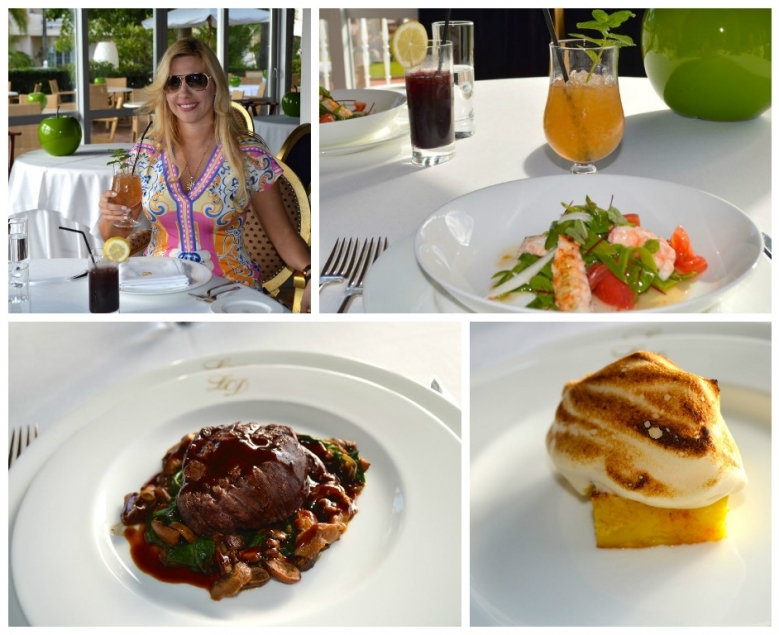 The menu at Healthouse Las Dunas is delicious and light in its presentation. Here, you can enjoy a full healthy gourmet board as well as a wide variety of international and regional specialties. Healthouse Las Dunas signature coctails are most incredible! We started with Sevilla and Rome and continued with Habana and Estepona. 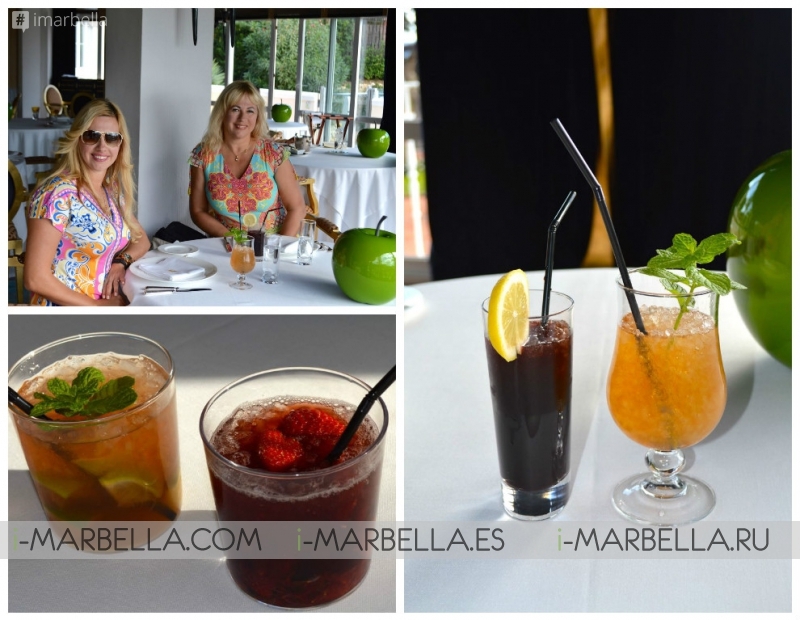 The coctails are freshly made and are exceptionally refreshing after the spa treatments. The mouth-watering appetiser was Pan-Seared Scampi and Liquefied Vegetables served with green beans so fresh as if straight from the garden bed. Galician Veal Tenderloin, with spinach and shiitake, followed. For dessert, we were served Roasted Pineapple with Luxurious Merengue that set the record straight. We enjoyed not only the specially designed dishes, but also the unique atmosphere of the restaurant and its terrace with stunning views over the endless sea and the beautiful gardens! Andoni Luis Aduriz is the creator and head of the healthy menus at Healthouse Las Dunas*****GL. The concept of nutrition is based on a new way to combine gourmet and creative cuisine with a nutritious and healthy food with regional products. The gastronomic concept at Healthouse Las Dunas is based on a sophisticated concept of new culinary techniques to achieve your personal goals and to enhance your well-being and quality of life. The joy of tasty, balanced, and healthy food is part of our philosophy which we would like to share with success and on a high level with you. Andoni was awarded The National Prize for Gastronomy, and Lo Mejor de la Gastronomía named him Chef of the Year and Patissier of the Year in 2002. In 2003 the Basque Gastronomy Academy awarded him The Euskadi Prize for Gastronomy to the Best Restaurateur, and in 2005, The Michelin Guide awarded him the second star. In 2006, Mugaritz obtained the 10th place in the The World’s 50 Best Restaurants list awarded by Restaurant Magazine.